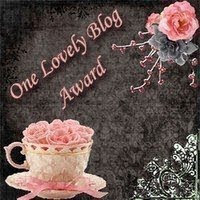 I received this award from three wonderful bloggers, Melissa at My World, Christine at booktumbling, and J.T. at Bibliofreak. Head on over to their blogs and show them some love! This award is designed with one purpose in mind...Pass this on to other bloggers who have awarded you in the past. I was given this award by Celticlady's Ramblings. She is a recent follow of mine and her blog not only speaks of books, but all things Celtic like places and music...she loves Celtic music, as I do! I'm giving this award to a new friend. Her blog header says it all about beauty! Be sure to stop by and visit her! I received this Proximidade Award from my good friend Ryan at Wordsmithonia. I give Ryan credit for inspiring me to start a "serious" book blog and if you visit his blog, you will see why. His blog is incomparable! Being a recipient of this award affirms that this blog invests and believes in the Proximity - nearness in space, time and relationships. This blog receives this great award as a further way to reiterate that it is excedingly charming, and aims to find and be friends. They are not interested in prizes or self-aggrandizement! Our hope is that when the ribbons of these prizes are cut, even more friendships are propagated. Please give more attention to these writers! I received this Superior Scribbler award from Bard Girl at Melancholy Musings. I love reading her posts. She says about herself that she tends to ramble, but I find her writing funny and refreshing. Be sure to check out her blog. Please be sure to visit all these terrific blogs and see what all the hype is about! You are welcome and you deserve it! Congratulations on all your awards and to everyone you passed them on to...and special thanks for the Proximidade Award to my blog and me. That is very special and I thank you so much! You are so welcome! 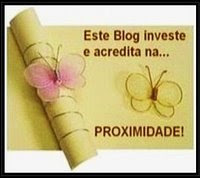 Your blog is such a welcoming site and was so wonderful to me when I first started my blog in August...and still is! Thank you so much Michelle. This award really means a lot to me. I appreciate it so much! Hi Michelle! Thank you for my award, and congratulations on all of yours! Thanks for the award and stopping by to visit....and for entering the contest!!!! Congrats to your awards! Thank you for the award, Michelle. :) I really appreciate it! Congrats on all of the awards - they are certainly well deserved! I have a couple more for you. Congrats on all your awards. You are more than deserving of them. Thank you so much for the kind words by the way, I'm still blushing. Thanks! Another weird one is coming up today since it's been a weird day not to mention that really weird dream I had last night.